Coragen® insecticide has been specifically designed for use in Integrated Pest Management (IPM) programmes. Coragen® is an anthranilic diamide insecticide in the form of a suspension thresholds. More than one treatment of Coragen® may be required to control a population of pests. Coragen® insecticide can be used in Integrated Pest Management (IPM) programmes. Harmful to some beneficial insects – particularly some foliage dwelling predators which may be used in Integrated Pest Management. Experience to date suggests Coragen® is compatible with other commonly used fungicides (such as mancozeb), insecticides and foliar fertilisers (such as Calcium chloride, Calcium nitrate). Since formulations may be changed and new ones introduced, it is recommended that users premix a small quantity of the desired tank mix and observe possible adverse changes (settling out, flocculation etc). Some naturally occurring insect biotypes resistant to Coragen® and similar Mode of action insecticides may exist through normal genetic variability in any insect population. The resistant individuals can eventually dominate the insect population if Coragen® and other similar Mode of action insecticides are used repeatedly. The effectiveness of Coragen® on resistant individuals could be significantly reduced. Since the occurrence of resistant individuals is difficult to detect prior to use FMC accepts no liability for any losses that may result from the failure of Coragen® to control resistant insects. Coragen® may be subject to specific resistance management strategies. To help prevent the development of resistance to Coragen®, use Coragen® in accordance with the current Insecticide Resistance Management (IRM) strategy for your region. For further information contact your farm chemical supplier, consultant, or local FMC Representative. Fill spray tank to ¼ to ½ full of water. Measure the amount of Coragen® required for the area to be sprayed. Add Coragen® directly to the spray tank with the agitation engaged. Mix thoroughly to disperse the insecticide. Once dispersed, the material must be kept in suspension at all times by continuous agitation. Use mechanical or hydraulic means, DO NOT use air agitation, premix or slurry. If spray solution is left standing, ensure thorough re-agitation of the spray mix until fully resuspended. DO NOT allow spray mix to sit overnight, as resuspension may be difficult. Apply using clean, well maintained and accurately calibrated ground-based spray equipment (only). Set the boom low and use coarser nozzles and lower pressures to avoid spray drift. The use of this chemical in areas where soils are permeable, particularly where the water table is shallow, may result in the substance leaching into ground water. Due to the persistent nature of chlorantraniliprole in soil, this product is expected to accumulate over successive seasons following repeated use. 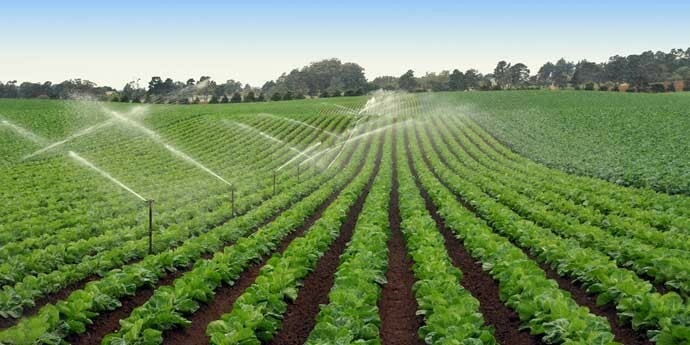 For broccoli, Brussels sprout, cabbage, cauliflower, use a non-ionic surfactant/wetting agent at the highest rate recommended for hard to wet crops. For lettuce, spinach, silver beet, Asian vegetables and potato use a non-ionic surfactant/wetting agent at the rate recommended for easy to wet crops. - mixing with another product which already contains a surfactant and/or the product label advises not to add a surfactant. Immediately following application, thoroughly clean all spray equipment to reduce the risk of hardened deposits forming which might become difficult to remove. Drain spray equipment, thoroughly rinse sprayer and flush hoses, boom and nozzles with clean water. Clean all other associated application equipment. Take all necessary safety precautions when cleaning equipment. DO NOT clean near wells, water sources or desirable vegetation. Dispose of waste rinse water in accordance with local regulations. Store in original container, tightly closed and under lock and key. DO NOT store with Class 1, 2, 3.2, 4 or 5 substances or feed, seeds or foodstuffs. Stores containing more than 100 L of this product require secondary containment and are subject to signage. DISPOSAL: Container disposal: Ensure container is empty. Triple rinse, and add rinsate to the spray tank. If recycling, replace cap and return clean containers to recycler or designated collection point. If not recycling, burn if circumstances, especially wind direction permit, otherwise bury in an approved landfill. DO NOT reuse container. Dispose of this product only by using according to this label. Always follow local authority requirements. SPILLAGE: Wear appropriate protective clothing. Prevent liquid from entering sewers or bodies of water. Absorb spills in earth or sand and sweep up. Dispose of waste material at an approved landfill. Keep out of reach of children. Avoid breathing spray mist. DO NOT eat, drink or smoke while using. FIRST AID: If swallowed: DO NOT induce vomiting. For advice, contact the National Poisons Centre 0800 POISON (0800 764766) or a doctor if feeling unwell. If spilt on skin, remove contaminated clothing and wash affected areas of skin. DO NOT SCRUB THE SKIN. If concentrate is splashed in eyes, flush with running water for at least 15 minutes. DISCLAIMER: This is not the CORAGEN® label. To view or print the label for this product, click the "SDS/Label" tab at the top of this page. Always follow label instructions.